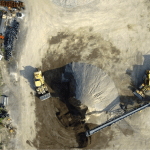 Ongoing Highway 26 Expansion | Canadian UAV Solutions Inc. 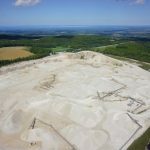 Ongoing Highway 26 Expansion | Canadian UAV Solutions Inc.
As many of you know, there is a current expansion happening on Highway 26 outside of Collingwood. Here’s a small portion of the orthographic map we constructed during the first week. We can perform multiple stage records on an as needed basis, capturing a unique timeline of the project’s life. Call today to find out how we can add value to your job, as well as save you money, (insurance disputes) through weekly stage records.